Capt. Brad Shields attended North Carolina State University and majored in Civil Engineering with a concentration in structural engineering. Since graduating from NC State in 2011, he has held the position of operations engineering chief, executive officer, and programming development officer for the F-35 infrastructure program while stationed at Luke AFB in Phoenix, AZ. Upon arriving at AFIT in 2014, Capt. 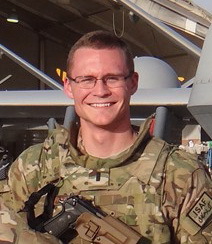 Shields held the position of AFIT Student Association President, while also completing an MBA from American Military University. Capt. Shields will be presenting on “Additive Manufacturing Application for Civil Engineering Tools and Jigs,” which explores the possibility of just-in-time 3D printing needed Air Force Civil Engineering items in a deployed environment. Capt. Drew Gallucci graduated from Oklahoma State University with a degree in Civil Engineering, and commissioned into the United States Air Force via AFROTC in 2011. He has spent four years as an Air Force Civil Engineer. 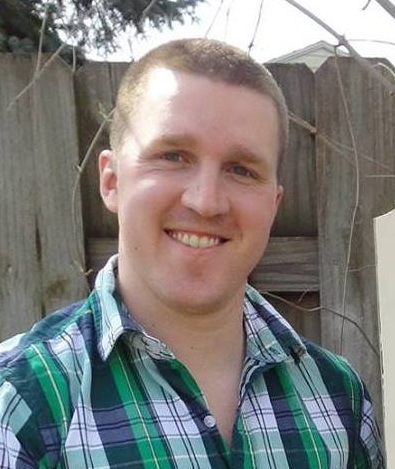 Since August of 2014, Drew has attended the Air Force Institute of Technology for a Master’s degree in Engineering Management, and is scheduled to graduate in March. Capt. Gallucci will be presenting on “UV LED in portable Teflon device with water purification” which is a unique water purification option for deployed personnel in austere environments. This entry was posted in Post Notes and tagged 3D Printing, AFIT, Deployed Operations, Young Members by Jesse Lantz. Bookmark the permalink.